Am I Mistaken or Has Indonesia Become Almost Boring? 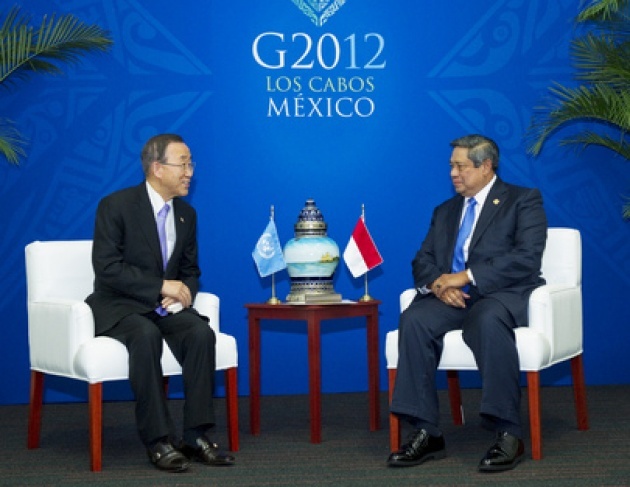 Does above UN photo of SBY (Indonesia President Susilo Bambang Yudhoyono) and UNSG Ban Ki-moon convey a new calming influence that Indonesia has on region, globe? If so, what a transformation! While debate rages over the Eurozone crisis and unstable currencies, Indonesia quietly continues sustained economic development. While Syria sinks into turmoil from egotistical first family that now employs religion as weapon to perpetuate conflict and control, the days of Suharto and East-Timor seem a bit of distant memory. Yes, Lady Gaga was effectively prevented from performing and there is delicate balance between freedom and religious zealotry. The Bali terror bombing are becoming more of history than immediate threat. Exploitation and environmental degradation are current and future risks. Geographic dispersion and cultural diversity are both an asset and vulnerability. See our Film for Blog: “Indonesia-Overcome Geography & Poverty. Cannot judge the depth and breath of freedom, democracy or the economic phenomenon that Indonesia may be from the inside. Nonetheless, from the outside, Indonesia appears as a success story. AND, I should not overlook Indonesia’s diplomacy under Foreign Minister Marty M. Natalegawa,(Bottom 2 UN photos), my very young and junior colleague when I was Bosnia & Herzegovina’s UN Ambassador. Still the rather calm and unassuming presence, but this time the frequent face of a rising ASEAN (Association of South-East Asian Nations). 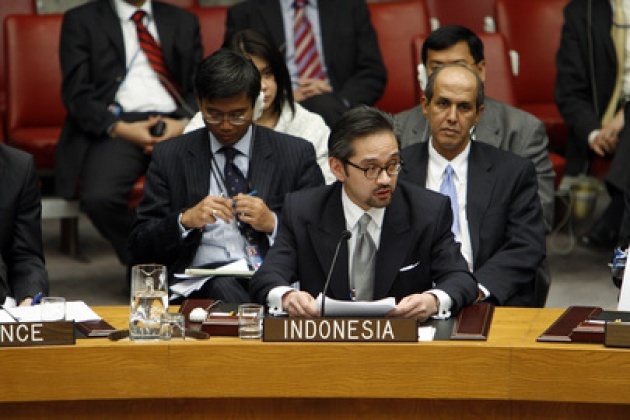 See our Blog for Film: “Indonesia-UN Peacekeeping Leader”. Is this the new Indonesia or is it more veneer? Bottom UN Photo: "Putting an End to Nuclear Explosions". From left to right: United Nations Messenger of Peace and renowned Hollywood actor Michael Douglas; Foreign Minister of Indonesia R.M. 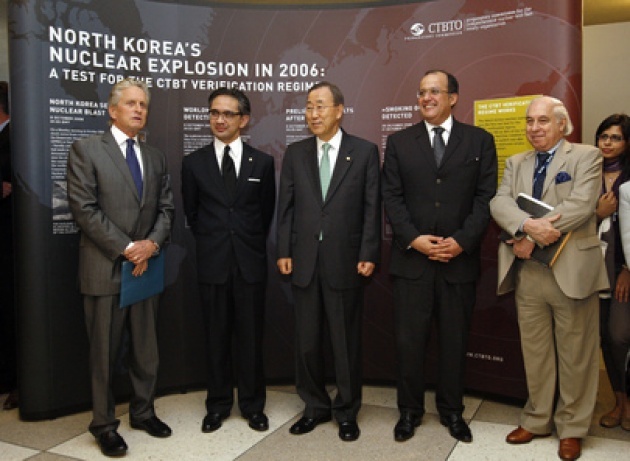 Marty M. Natalegawa; United Nations Secretary-General Ban Ki-moon; Foreign Minister of Morocco Fassi Fihri; and United Nations Under-Secretary-General for Disarmament Affairs Sergio de Queiroz Duarte.